Sometimes, I look around Beit Nitzanim (“Buds” for first grade), sigh, and think that something magical has happened. 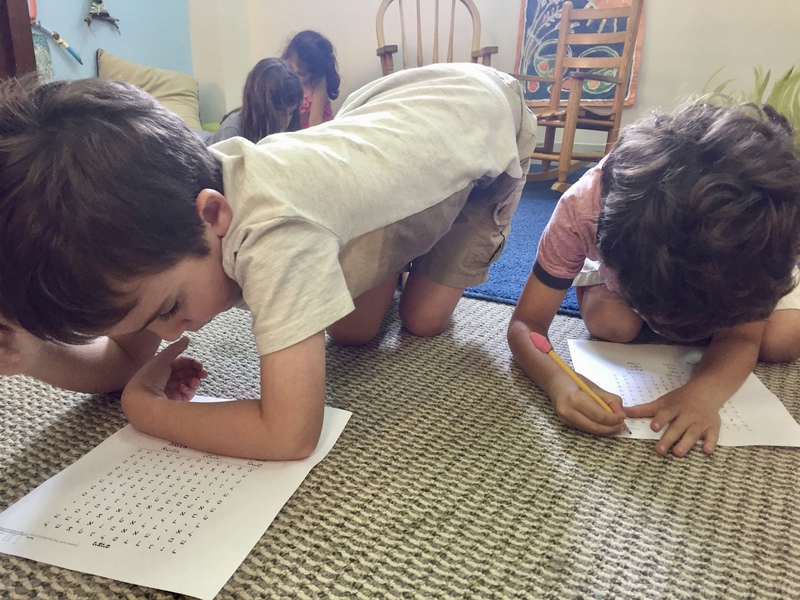 On Monday, when I looked around during זמן עברית (zeman Ivrit–Hebrew time), all eight children were paired, spread around the space, working on different Hebrew challenges. And as magical as it may have felt, it really isn’t magical at all. All year, and particularly at the very beginning of the year, we make intentional choices to support children in growing the skills for working without a grown-up nearby, solving disagreements respectfully, and choosing to work with someone who really helps them do their best work. For example, yesterday’s magical moments were supported by intentional choices about how our space looks and feels. 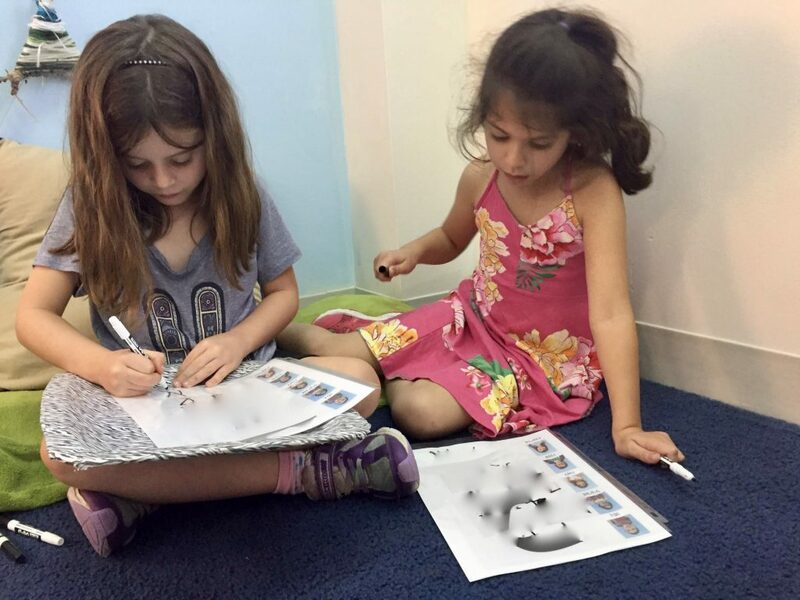 At the beginning of the year, I worked with another מורה (morah–educator) to design a space that would allow children to spread out around the room so that children can have the space and quiet they need to do their best work. Our space also features different kinds of seating, soft spaces, and corners to hide in so that children can be comfortable as they work. 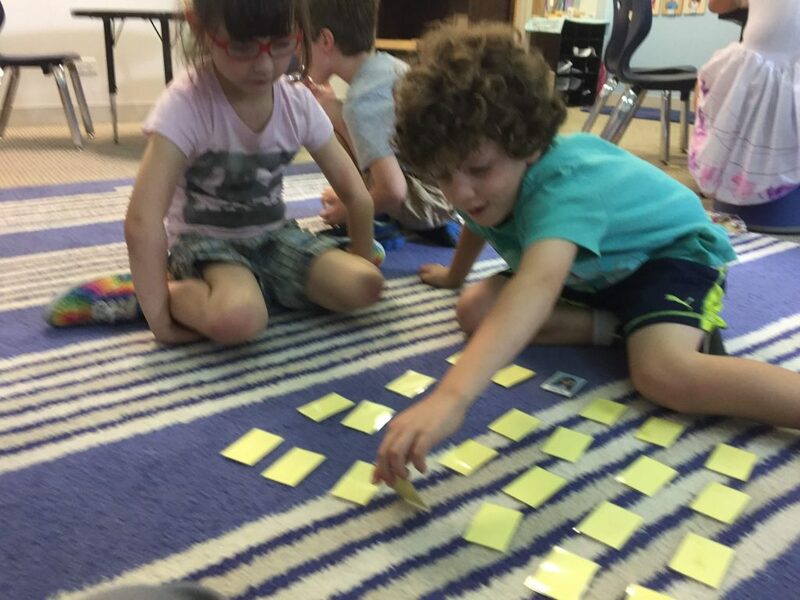 I also intentionally chose different kinds of Hebrew challenges so that all children could find a choice that interested them. 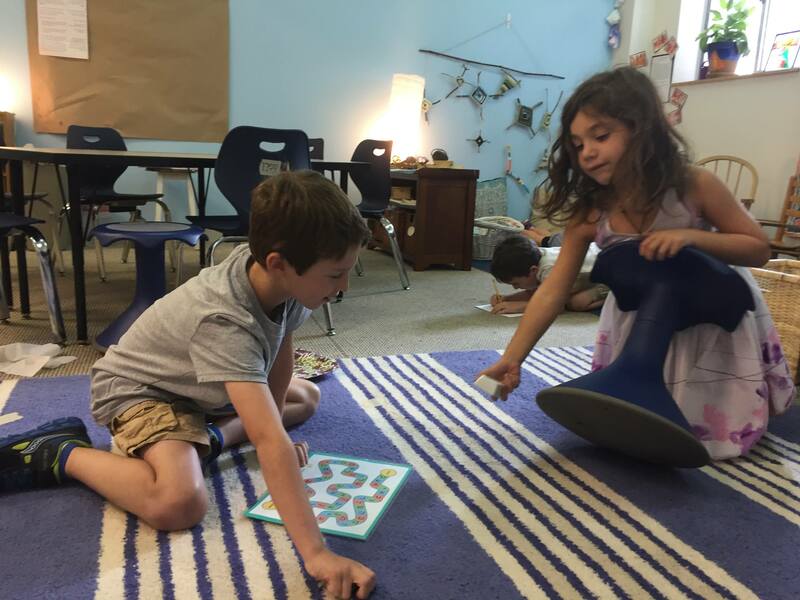 Because children knew how to play each of the challenges and were excited about them, they could make a choice independently, get started right away, and share their play with a partner. A big intentional decision I made Monday was to support children in finding a partner to work with. Sometimes that looks like offering children the words to ask, “Can I play with you?” and other times it might include making suggestions to children about who they could play with. As one child grabbed a board game from the shelf, I asked aloud, “Child 1 is looking for a partner. Who would like to play the board game with him?” Another child stood apart from the group unsure what choice to make, and I said to him, “Why don’t you join Child 2?” In both cases, children partnered with those they wouldn’t normally work with, a beautiful first step in forming new friendships. As the year progresses, children will become more confident practicing asking someone to play with them and working with every other child in the group. As we form community and children solidify these skills for זמן עברית (zeman Ivrit–Hebrew time), we’ll start working on new skills. 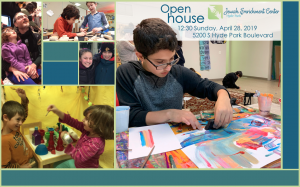 Our community is always learning and growing together, making intentional decisions so that children can be independent, make choices, and grow their relationships with each other.